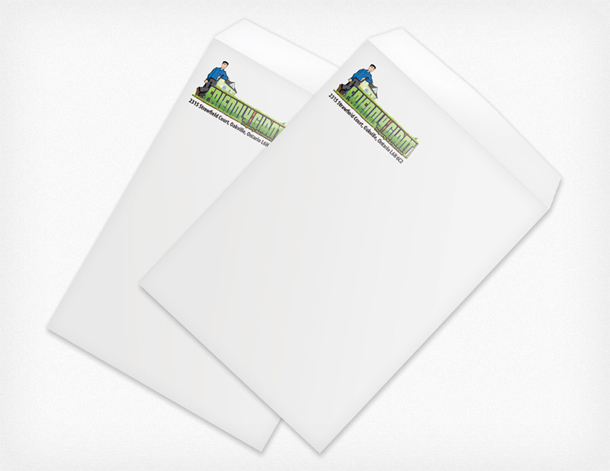 Envelopes Printing... shipped free within the contiguous U.S. Envelope printing usually takes 4-5 business days (this is just a general guideline) but rush orders are sometimes available. This does NOT factor in your file preparation time or shipping times all of which can vary dramatically. Please call for a more complete turnaround estimate at 1-888-587-2383 ext 1. A: Yes!! 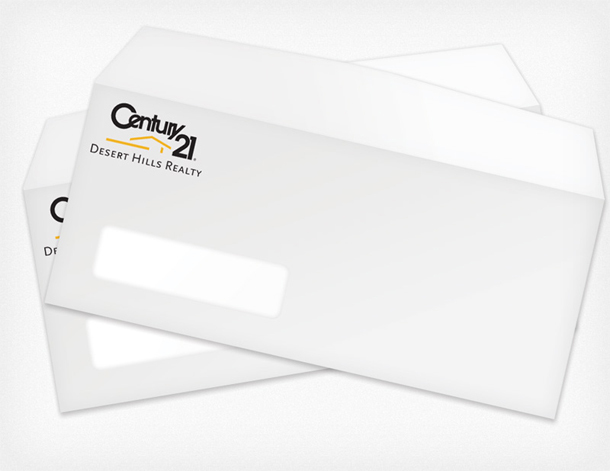 We can design your Envelope for a flat fee of just $49. Read more. 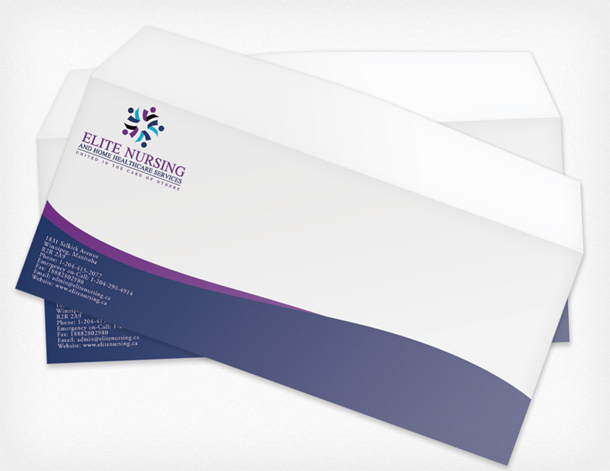 We Can Design Your Envelope for $49! 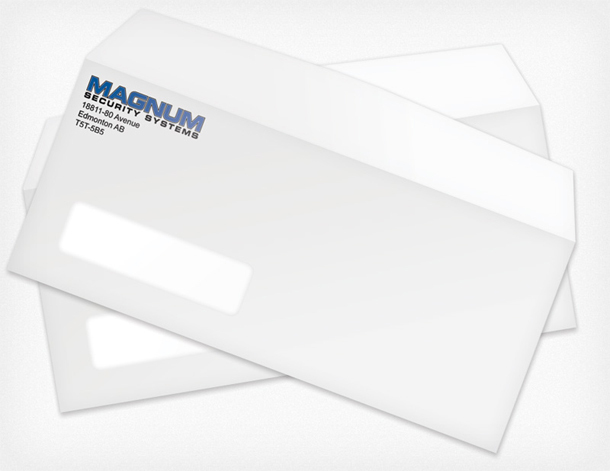 We offer design for Envelope at a low flat-rate cost! This includes your first draft design plus up to 4 revisions for 5 total versions - usually this is more than enough 95% of the time. Extra rounds of revisions will cost $10 each. What's the Standard Envelope Size? The most common envelope size is 4.125 x 9.5 (also called a #10 envelope). This is the size of envelope most mail is sent in. The 3.875 x 8.875 size (#9 size) is also common and fits inside the #10 envelope (often used for return envelopes). The 9x12 size is a standard size to send large documents without being folded. The window option is a small area on the front of the envelope that is clear plastic. 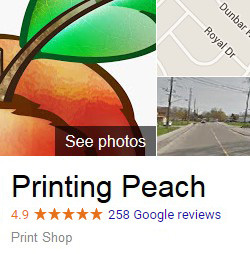 This is so the address can be printed on the actual letter and when folded it shows through the window on the envelope. This option is only available on the #10 size. 70 lb refers to the weight or thickness of the paper. Standard office printer paper (often called 20 lb) is equivalent to about 50 lb by this measurement. So this is a bit thicker and more professional than some envelopes which are often printed on 50 or 60 pound paper and very rarely any thicker than 70 lb.